Analog recording methods store signals as a continuous signal in or on the media. The signal may be stored as a physical texture on a phonograph record, or a fluctuation in the field strength of a magnetic recording. This is different from digital recording which digital signals are represented as discrete numbers. 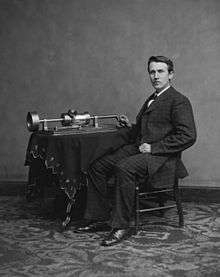 The Phonograph was the first machine used to capture analog sound, and was invented by the well-known inventor Thomas Edison in 1877. Edison incorporated various elements into his Phonograph that would become staples that can be found in recording devices to this day. The answer to the reoccurring problem of low fidelity turned out to be the simple fact that inventors were not using all the right electronic currents. While all forms of electromagnetically recorded music were using something called DC current, they had yet to try another form of electric current, called AC. It turns out that AC current contains higher frequencies than its DC counterpart, and that those higher frequencies were what had been missing in electromagnetic recording thus far. 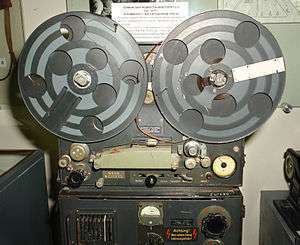 Those high frequencies "shake-up" the magnetic particles on the tape in just the right way, creating the first high fidelity sound recordings. Interestingly, this process known as AC Bias was discovered in 1940 by two inventors living in different parts of the world, who were both unaware of the other’s discovery. ↑ Brain, Marshall (2000-04-01). "How Analog and Digital Recording Works". howstuffworks.com. Retrieved 2013-08-05. 1 2 3 4 5 6 7 8 9 10 11 12 13 14 15 16 17 18 19 20 21 22 Milner 2009, pp. 1-416. ↑ "First Phonographs and Graphophones, and then Gramophones". Retrieved 2013-08-05. ↑ "Recording History". Retrieved 2013-08-05. ↑ "Inventing the Wire Recorder". Retrieved 2013-08-05.